By Audrey Golden. Jan 24, 2018. 9:00 AM. After the Wesleyan Poetry Series began, it had some notable names attached to it. According to an article in The New York Times, T.S. 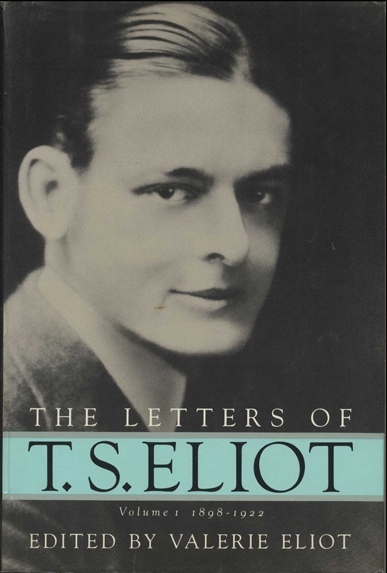 Eliot once served a “a roving editor for the poetry series,” which is “evidenced by a page of scrawl in a yellowed notebook kept in its offices.” Indeed, the Wesleyan Poetry Series Editorial Board met with T.S. Eliot and his wife on December 16, 1963. Since its inception, it has published well-known poets like Jean Valentine, as well as the Pulitzer Prize and National Book Award Winners. Our favorite Pulitzer winners from the Wesleyan Poetry Series is Yusef Komunyakaa, whose 1994 poetry collection Neon Vernacular: New and Selected Poems won the Pulitzer that year. Wesleyan University Press has published additional works of Komunyakaa, including Copacetic (1984), I Apologize for the Eyes in My Head (1986), Dien Cai Dau (1988), Magic City (1992), Thieves of Paradise (1998), Pleasure Dome (2001), and Gilgamesh (2006). Other Pulitzer winners from the Wesleyan Poetry Series include James Tate, James Wright, and Louis Simpson. In 1983, Charles Wright won the National Book Award for Country Music: Selected Early Poems. This was his fifth book of poetry published by Wesleyan University Press. In total, the Wesleyan Poetry Series published between four and six books each year. If you’re in the market for a new collection of poetry to read, or if you’re interested in adding new works by a favorite poet to your collection, we have some recommendations for you. These are just a couple of examples of books published recently in the Wesleyan Poetry Series. Select others include Rae Armantrout’s Partly: New and Selected Poems, 2001-2015 (2016), Robert Fernandez’s Scarecrow (2016), and Ted Greenwald’s The Age of Reasons: Uncollected Poems 1969-1982 (2016). We recommend exploring all that the press has to offer, particularly if you’re interested in reading and collecting more poetry.